Need a private function room for your party? Our large function hall is separate from the pub itself and houses its own private bar, facilities, function room and garden access making it a popular choice for any kind of event. 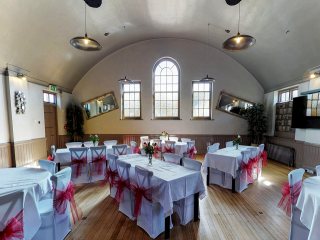 With capacity for up to 120 people it is an ideal space for all kinds of events and functions including family parties, wedding receptions, Christenings and wakes, business meetings, community events and more. Situated in the heart of Patcham but with easy transport access to the rest of Brighton & Hove and ample parking it’s great for locals as well as hosts from further afield looking for a good-sized venue with a private bar and options for catering without having to venture into the city centre. The large airy private function room is tastefully decorated to provide a clean, crisp and neutral backdrop to your event and for you to add your own personal touches if you wish. The tables and chairs can be set up or cleared away to suit the occasion. We also have inbuilt sound and lighting perfect for creating an atmosphere and of course vital for any decent disco! No event is complete without food, and our excellent kitchen team can cater to your needs whether that be a simple buffet of party food favourites or a sit down full meal with service, we’ll work with you to create the menu you’d like. 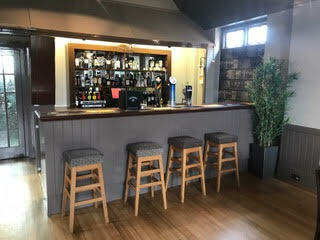 Plus our private bar has all the drinks you need to get the party started and carry on into the night! Contact us for more information about hiring our private function room at The Ladies Mile or to find out availability for your event. The hall is available for weekend and midweek bookings for daytime as well as evening events at a competitive hire rate. Come and take a look for yourself or view our virtual tour. Looking for a place to hold a private party? The large airy room is tastefully decorated to provide a clean, crisp and neutral backdrop to your event and for you to add your own personal touches if you wish. The tables and chairs can be set up or cleared away to suit the occasion. We also have inbuilt sound and lighting perfect for creating an atmosphere and of course vital for any decent disco! Contact us for more information about hiring our function hall at The Ladies Mile or to find out availability for your event. 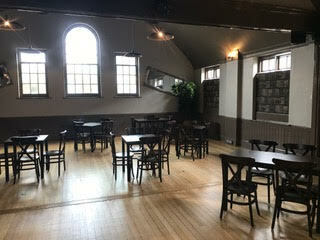 The hall is available for weekend and midweek bookings for daytime as well as evening events at a competitive hire rate. 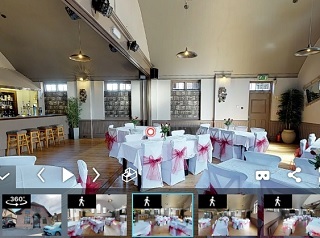 Come and take a look for yourself or view our virtual tour.